What’s more rock ‘n’ roll than a bunch of Hollywood stars singing karaoke covers of overplayed hair metal hits of the 80’s? NOTHING. Nothing at all. Meanwhile, Elliott gets a few things off his chest about Encyclopedia Brown, Dan proves himself master of the segue, and Hallie is much more interested in talking about Olive Garden than demons. 0:00 – 0:31 – Introduction and theme. 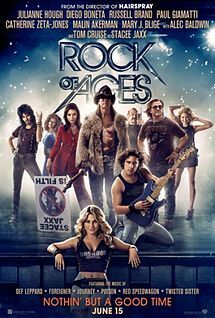 0:32 – 35:10 – Fan favorite Hallie Haglund subs in for Stu in our discussion of the jukebox gloss-fest, Rock of Ages. 39:29 – 56:58 – Flop House Movie Mailbag, with the very first letters DUET. 56:59 – 1:03:36 – The sad bastards recommend. 1:03:37- 1:04:59 – Goodbyes, theme, and outtakes. Is there something going on between Elliot and Hallie, or is it just me? Dan was a total third wheel here.